Setup and take-down to take away your stress. Don’t have the time, inclination, or experience to setup and take down your display? 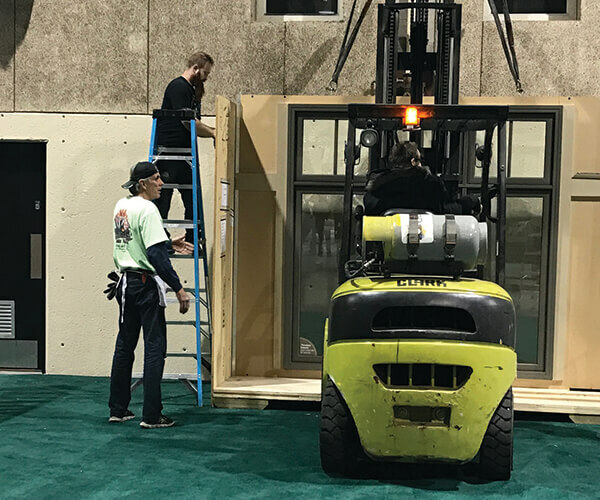 Our install & dismantle team can handle it for you, leaving you free to focus on the trade show. Whether your show is here in Alberta, or on the other side of the world, we can help. 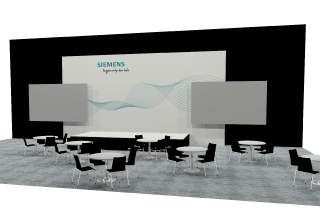 Our knowledgeable and experienced team can coordinate the display installation and dismantle of your exhibit. We have experience with many different exhibit systems and come prepared with all the supplies, tools and installation equipment required. Having us handle the setup and dismantle allows you to focus your time on clients and prospects, rather than up a ladder on the exhibition floor. It also means your team arrives at the show alert and fresh, ready to make valuable contacts and create sales for your company. At the end of the show, let your tired feet rest while we carefully dismantle and repack your exhibit, getting it ready for the next show.